If you hire us to design and install your sprinkler system we will understand it completely, so there will be no guesswork when we need to provide you with maintenance or troubleshooting. We have a very experienced service team with expertise in the technology and they are ready to support you at your home in the Ann Arbor area throughout the season. This includes spring start-ups, service work and system winterization. Spring Start-up and Fall Winterizing - Your system start-up should usually occur in the months of April or May, and winterized in the month of October. For the well being of your investment, we recommend you call to have this done professionally. Sprinkler Head Not Rotating? - Most often, if a sprinkler head is not rotating, sediments have infiltrated the mechanism. The best solution is to remove the sprinkler head from its canister, wash it out, and re-install. 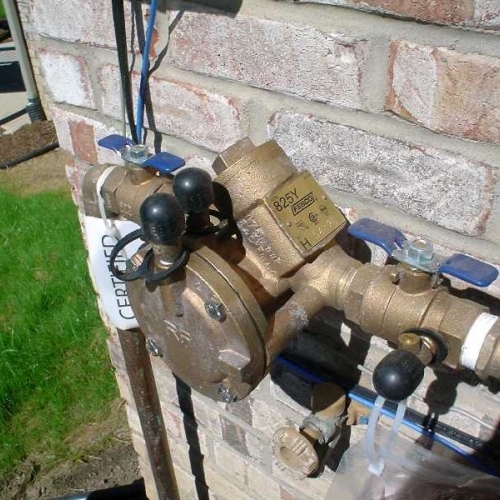 If the sprinkler still will not rotate, we recommend that you schedule a service call. 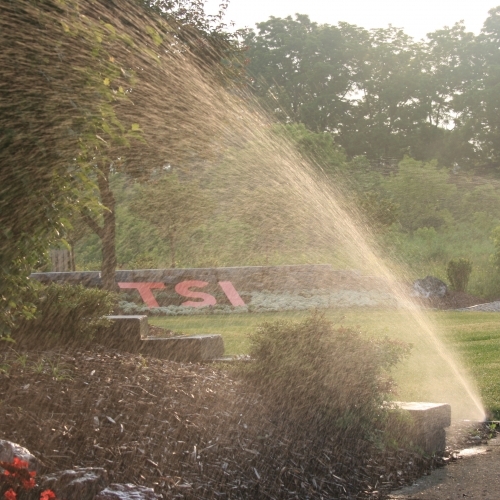 Any other irrigation problems - We recommend scheduling a service call. The trees, bushes and flowers are top of the line. The neighbors can't quit commenting about how good it looks. Thank you." Thank you for the great job on the sprinklers." In fact, I already have told several people that you all were great. Very nice, very accommodating, punctual, cooperative. We love our new patio and all the landscaping and cannot wait for our first "party" out there in a few weeks. We liked Jake and David and Kevin and Matt and all the crew. Awesome team work." Unbelievable professionalism - I was contacted at every stage of the service, My schedule was confirmed 2 times, I was trained on how to operate the system, I was given a map of where the heads and zone valves where. I could not give a higher recommendation." Lee made an awesome design and redesign to fit my limited budget . Although my job was relatively small. I removed 12 year old bushes , the entire team treated me very kindly. I felt the "Ish's crew " were very careful not to damage exhausting sprinklers or lighting fixtures. The entire crew was very polite, and even funny at times. Todd's services made this dreaded task easy and even enjoyable! Nice job to everyone!"